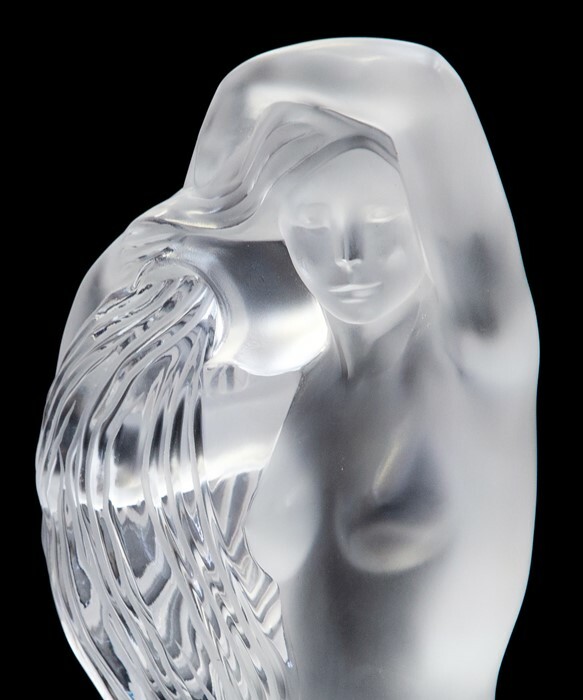 A Rene Lalique limited edition frosted and clear crystal figure "Grande Nue Nereides", etched "
A Rene Lalique limited edition frosted and clear crystal figure "Grande Nue Nereides", etched "Lalique France" and numbered 568/999, 45cm high, together with certificate of authenticity.Water flows from a jar held in the hollow of the nymph's shoulder. Edition edition to 999. 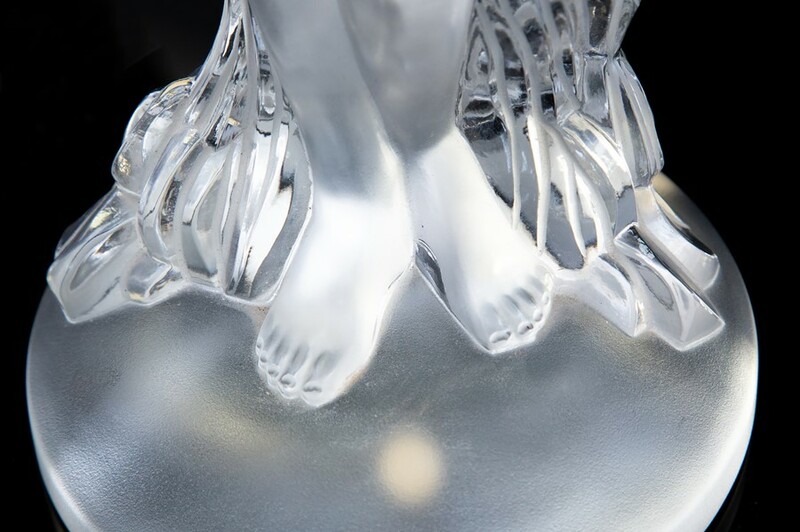 Lot 54 A Lalique comport with pedestal of 4 frosted glass sparrow, circa 1960.